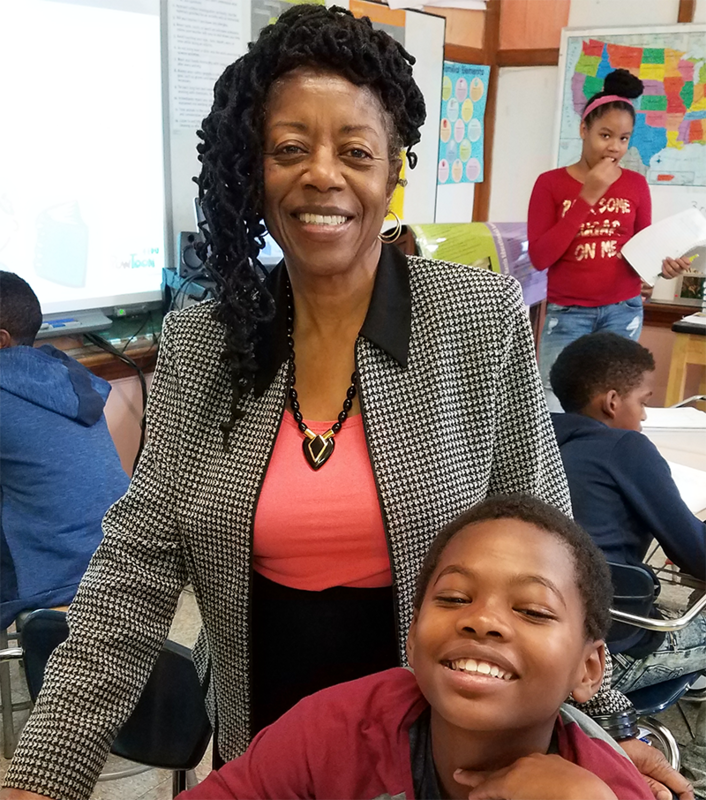 This is Dr. Della Weaver’s fifth year serving St. Paul School as Literacy Coach and teacher. Prior to her service at St. Paul, Dr. Weaver served as a CPS educator. She has an endorsement from the Illinois State Board of Education (ISBE) as a Reading Specialist. Her mission is to encourage a thirst for education in children, especially those at St. Paul School. One of her greatest joys is to instill a lifelong love of learning in all children. Her high expectations for learning lead her to believe that every child can achieve academically, emotionally, and socially. I strive to continue learning at St. Paul. Some of the important lessons I learn come from working with our children to build the sound reading foundation that is crucial to school success. One of my dreams is to see a St. Paul After-School Library Media Center that encourages our children to engage in self-selected as well as structured learning activities. I am happy that 3rd-8th teachers at St. Paul include Novel Study during the reading block. This practice gives our children opportunities to apply comprehension strategies, increase comprehension skills, build vocabulary, read a variety of genres, and experience cultural diversity. MAY ST. PAUL SCHOOL BECOME A SCHOOL OF READERS AND LEADERS!